It’s been a very interesting month on Facebook for the automotive industry. A lot of companies are getting more aggressive with their marketing efforts and showed up with some decent spend promoting their brand fan pages in February, the Super Bowl happened, and Toyota is in a tailspin. 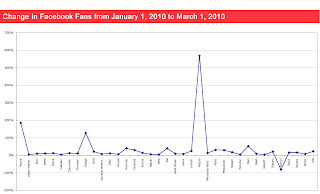 Several brands did “Facebook Fan” campaigns. Fan campaigns are ad unit buys that typically show up on the Home News Feed page of Facebook in the Sponsored section between Suggestions and Events content. 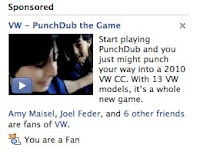 The ad units feature a “Become a Fan” button that allows people to easily fan a page without even having to visit it. Dodge ran the most significant Fan campaign in February. They most have bought a full month of ad units, only the third time I’ve ever seen a brand do such a thing (VW and Honda being the other two.) Dodge ran ads featuring two messages. One featured their Super Bowl video “Man’s Last Stand” and the other linked to the Dodge Fan Page tab talking about their Super Beard Contest. Mazda also bought several weeks of Fan ad units in conjunction with their Mazda 2 vehicle launch. The ads asked users to “Join the Movement.” The ads did not feature a vehicle image; instead, the unit was a blue-on-blue checkered flag with a small Mazda logo. Very little branding in the units but Mazda had a significant percentage jump in Facebook fans, a whopping 568% growth in February. Could it have been more with a stronger logo or did they gain more with less branding? Tough to say, but Mazda definitely attracted a strong number of fans with their buy. It’s hard to say whether Dodge or Mazda did better with their marketing buy on Facebook without knowing impressions bought and how targeted the buy was. Percentage wise Mazda did far better than Dodge’s 126% growth, but Dodge had a much higher starting number of fans. Dodge grew by 36,000 fans versus Mazda’s 18,000 fans or two times the growth in numbers over Mazda. Volkswagen did a little bit of marketing in February too to further promote their PunchDub Super Bowl ad. They only ran Fan ad units for either a day or few days after the Sunday following the game. The ad units also included the Super Bowl commercial they did. Ram Trucks and Acura both did marketing buys too, but nothing that significant. Acura saw growth of 10,000 fans but that probably didn’t involve much of an ad buy with targeted marketing spend and some fan growth due to organic increases; though, the 185% growth number shows they did accurately reach their fans. This morning as I was finishing this article an article showed up on AdAge about “The Cult of Toyota” and how since the recall Toyota fans are rallying to the brand with a 10% growth in fans since the recall announcements that started at the end of January. “According to Doug Frisbie, Toyota Motor Sales USA's national social media and marketing integration manager, the automaker has actually grown its Facebook fan base more than 10% since late January, around the time of the marketer's Jan. 21 recall announcement and its Jan. 26 stop-sale date. First of all, the number is 15% in February, but that’s not my issue with the assessment. 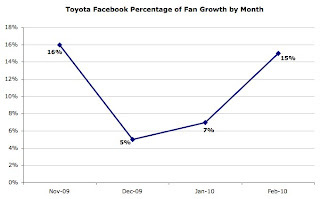 If we look back at Toyota’s growth in fans month-by-month we notice two things. One, they have doubled their percentage growth of fans gained from 7% to 15% from the January to February. 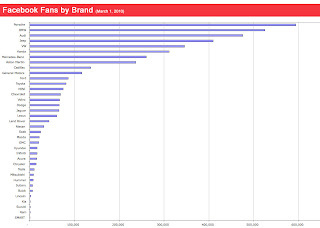 So, AdAge is right the brand is attracting more fans since the recall so the recall must be the reason. Maybe not if we look at what else stands out in the data – they grew even more in November 2009 yet there was no recall then nor did they market for fans that month. I would argue one couldn’t really account any surge in fans due to the recall. This is only four months of data and it is not clear what a typical growth in fans is for the brand. It looks to be somewhere around 11% on average so a 15% gain in one month really isn’t that significant especially when you consider how many other brands not marketing and not going through any major PR issues are also gaining fans in the double-digits. One of the interesting things about doing this monthly "Facebook Fans by Brands" report is seeing how the spin is done to showcase things that seem unusual to the casual observer, but are really not. What would be interesting with the Toyota situation is to evaluate the brand’s conversations on its Facebook fan page since the recall. Now that might show something unusual or interesting. Suzuki decided to move their Facebook automotive content to a new Fan Page for Suzuki Autos that did cause some dip in their numbers since my prior calculations were using a more broad Suzuki Fan page that encompassed all of the brand's vehicles including motorcycles and recreational products. Finally, I have been tracking Scion's brand page for quite sometime but just learned this month, when the fan page was updated with information about it being an Unofficial Fan Page, that it is not managed by the brand. Also, the page received a new friendly URL http://www.facebook.com/UnofficialScion. So, I have removed Scion from the report since they currently do not have a Fan Page for the brand; though, they do have one now for their Release Series vehicle line.